It monitors the voltages of each cell during the charge process to equalize the peak voltage. We guarantee the final voltages are nomalized with an accuracy less than 0.01V. 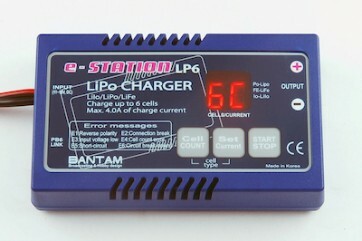 PB-6 can be used with any brands of charger but you had better use it being linked with e-STATION chargers. PB-6 adopts bigger capacity of circuit to perform balancing rapidly. It can drain the current from each cell up to 500mA at a time. It is very essential for balancing the larger capacity of batteries. PB-6 can be self-operative without linking to charger. When you connect the battery pack to the individual port of PB-6 the balancing job will be started instantly. In this case the individual cell voltages will be equalized to the least cell voltage of the battery pack. If the voltage of any one of the cells raises higher than 4.3V by any reason the circuit-breaker operates automatically.